A fracture of a bone in the hand can sometimes be difficult to treat because of its small size and the intricate structure of your hand. If you have broken a bone in your hand, you need to seek treatment from a hand specialist. Whether you need a cast or you need surgery, call Dr. Jacobson, so he can determine an ideal treatment plan for you. Wrist fractures are extremely common injuries. Fortunately, there have been many advances in treatment options. Some specialized options can return you to motion very quickly. You should seek treatment from a hand and wrist specialist, so he can develop a thoughtful precise plan to speed your recovery. Nerve injuries are most commonly caused by cuts from sharp objects, but they can be caused by other types of accidents. You may experience pain, numbness, or loss of function in parts of your hard. 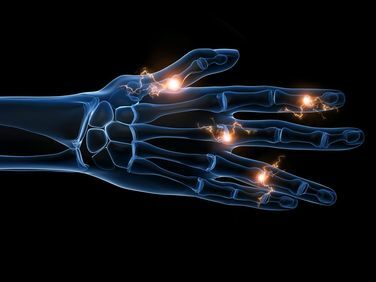 It's important that you have your nerve reconstructed with meticulous microsurgical techniques by an experienced hand and wrist specialist. The tendons of our hands and forearms allow us to move our fingers and grip objects. An injury to any of these tendons can impair or devastate mobility leading to a significant loss of hand function. To help you regain the use of your hand after a tendon injury, Dr. Jacobson can repair or reconstruct damaged tendons and guide your recovery with hand therapy. Burns to the hand can be painful and lead to scar tissue that limits your range of motion and can be disfiguring. Specialized treatment can improve your outcome. Contact Dr. Jacobson to receive an expert evaluation.